1.5.2 2. “Junk Silver” Can Enhance Your Portfolio. 1.5.3 3. Silver Has More Uses Than Gold, and Why That’s Impacts Its Price. 1.5.4 4. Do Your Homework. 1.5.5 5. EFT’s & Silver Mining Investments Are Not Real Silver Investments. 1.5.6 6. Central Banks Don’t Affect Silver Prices. 1.5.7 7. Silver & Gold Prices Don’t Always Fall & Rise Together. 1.5.8 8. Don’t Buy (Everything) at Record Highs. 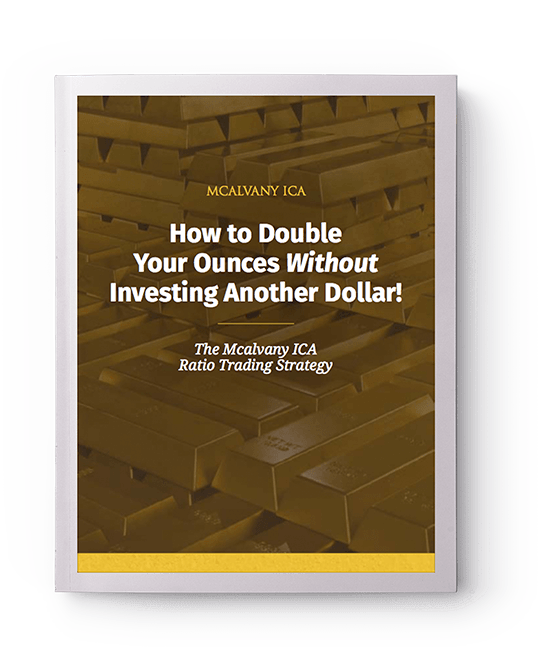 1.7 How Do You Choose A Precious Metals Advisor? If gold is considered the “super hero” in the precious metal world, than silver is its complementary (and necessary) sidekick for building and diversifying a well-rounded financial portfolio—particularly for those new to investing in precious metals. Silver is highly-liquid, has a low-entry point (affordable), makes an excellent, safety-conscious investment, and offers significant profit potential. Like gold, silver has entered what we believe will be an extraordinary bull market, and is poised to rise to levels not seen in recent years. In fact, silver may be the most undervalued asset in the world today. This represents a truly historical opportunity for investors. We believe that we are witnessing a bull market that will not only yield enormous gains, but might in fact reward some savvy investors for many years to come. But to profit, you need to position yourself now. In 1900, the above-ground world supply of silver was about 12 billion ounces. Flash forward to 1990, experts estimated that figure had been reduced to roughly 2 billion ounces. At present, the total has fallen below 500 million ounces. An important aspect worth noting about silver is that its supply is inelastic. This means we’ll see no big increase in silver production if the silver price goes up. In the 1970s when silver rose more than 35 fold in price – from $1.40/oz in 1971 to a high of nearly $50/oz in 1980 – there was no significant increase in refilling the supply pipeline. And by the way, if you had invested $25,000 in silver at $1.50 an ounce in 1970, you would have seen your investment soar to over $825,000 by 1980. That’s a 3,300% move! Though world supplies dwindle and silver production has been flat, industrial demand for silver has showed no signs of slowing. At some point in the near future as the above-ground stockpiles dry up, basic supply and demand dictates that the price per ounce of silver will again begin to soar. Over the past 30 years at ICA, we have recommended that our customers maintain a portion of their assets in silver—primarily as a portfolio hedge and “survival position” in the event of a crisis. Today, that advice has shifted. In consideration of a booming silver economy, we now advise clients to also purchase silver for its profit potential. See below for the different forms of Silver Bullion we advise our clients to purchase. Although the popularity of silver bars has fallen considerably and wholesale markets consider them to be unfavorable, there continues to be those that ask about silver bars. Johnson-Matthey and Engelhard are two of the world’s largest precious metals firms with operations around the world. When considering silver bars, investors should ask for either of these two hallmarks. Silver Eagles normally sell for modest premiums above their melt value. However in late 1999, early 2000, the coins were hyped as “collectibles” and “the last silver dollars of the 20th century,” which is true. Many of these coins were even painted red, white and blue to justify prices as high as $39.95 ea. The promotions were and have been successful, consequently causing the premiums on Silver Eagles to climb above their normal level of premium. If you’ve made the decision to better diversify your portfolio and you’re ready to purchase, there are some important details you should understand before you make your next move. Silver is not “just silver.” Integrating different silver types will make for an optimally well-rounded portfolio. 2. “Junk Silver” Can Enhance Your Portfolio. To the untrained ear, the words “junk silver” do little to evoke investment excitement. To the contrary, investors untrained in the specifics of precious metals would probably deem this category worthless. The reality, however, is that junk silver can be just as good an investment as other silver types. Junk Silver isn’t valued on its design or condition. Instead its value comes from the coins’ silver content. Junk silver coins can have as little as 35% silver or as much as 90% silver. In fact, this type of silver can sometimes give you a better return on your money than purchasing brand new bullion. 3. Silver Has More Uses Than Gold, and Why That’s Impacts Its Price. While both silver and gold are used in jewelry, coins, and in electronics, silver has multiple other traditional uses including: photography, silverware, batteries, bearings, brazing and catalysts, solar energy, medical technologies, and water purification. Though it is used in more things, silver maintains its value because it’s difficult to rapidly increase production. The need for silver shows no signs of slowing down. The above ground quantity of silver, on the other hand, it struggle to keep up. Many new to investing fail to do the homework necessary to understand the important minutiae of silver trading. This often results in buying at too high of a price to make any real money or relying too much on the dealer and making investments that aren’t the best fit in the long run. Additionally, scammers, advertisements or “infomercial” pitches can actually waste your money—not maximize it. The unfortunate truth is that many people’s first exposure to investing in gold or silver comes from radio or TV ads, or clicking on an ad from a Google search with a pitch like, “There’s a limited supply of silver bars, act fast!” And, if you connected with the gold and silver dealer behind these ads, chances are those dealers had a whole sales funnel, pitch and team ready to sell you “valuable” silver or gold at a marked up price. Don’t fall fast. Perform price comparisons and do proper market research. 5. EFT’s & Silver Mining Investments Are Not Real Silver Investments. Instead of physical silver, many investors choose either an exchange-traded fund (ETF)—an investment vehicle that tracks indexes or commodities. Or, they buy stock in a silver mining company. The problem? You don’t actually own the silver. While ETF’s and mining companies do offer very high levels of liquidity, they are both like stocks. In other words, there’s more risk and no real tangible metals ownership. 6. Central Banks Don’t Affect Silver Prices. Unlike gold, which is stored in the vaults at Central Banks, silver is not held on federal reserve at our nation’s Central Banks. That means there is no risk of them dumping silver to depress its price. There’s nothing to dump! 7. Silver & Gold Prices Don’t Always Fall & Rise Together. For example: 2008, the recession, when the price of silver dropped by 27% and the price of gold rose by 6%. In 1998 on the other hand, the price of gold dropped by nearly 6% more than the S&P (American stock market index), while silver weathered the storm at the same rate as the stock market (about a 3% less of a drop than gold). This is why it is smart to diversify your portfolio. 8. Don’t Buy (Everything) at Record Highs. Just because silver (or gold, or any other metal) is at an all time high doesn’t mean you have to join the masses in the silver-gobbling frenzy. While investing in silver can be profitable, it’s a bad idea to become fixated on one precious metals in particular. What’s more important is to build a well-rounded portfolio, and not put all your eggs in one basket. If you’re interested in utilizing silver’s unique characteristics to build security into the foundation of your portfolio, you can set up a complimentary portfolio review with an ICA precious metals advisor today. Simply click here, and we’ll be in touch.